You know what they say: Your home is your castle. Nevertheless, this Saturday, June 29, you need to ditch those snug moat-surrounds and get yourself down to Manila Beach Dunes Recreation Area to build yourself a new one — a new castle, that is. Out of sand. Consider it a character-building exercise — because there's nothing the Friends of the Dunes would like better than to build your character into that of a fun-loving, sand-eating — er, -enjoying — coastal ecosystem supporter. Dun-da-DUN: Yes! 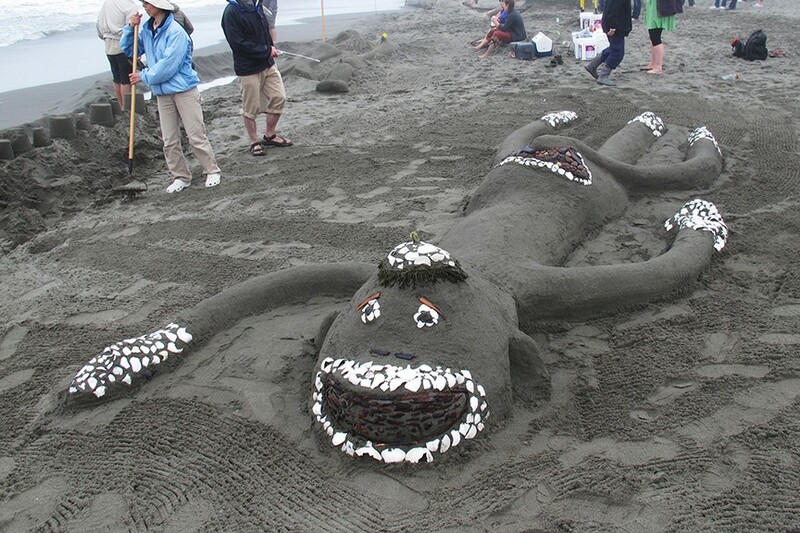 It's time for that nonprofit's 18th Annual Sand Sculpture Festival! Now, if taking on more shifting real estate isn't your thing, you can build something else. Try a newt! Or an owl! Or a dreaming mermaid, shark-eating surfer, sinking ship, lily flower, sea turtle, cake, camel, Jabba the Hutt, groceries. Or — because those sand shapes have been done in past contests — make up some new kind of sandpacked monster/beauty/brain-noodler. Invite your friends, make it a genuine (sand)barn raising. There will be cash prizes — for best of show, most life-like, humor, fantasy, ingenuity, "judge's wild card" and best youth sculpture (by kids 16 and younger). There is a fee (raises money for Friends of the Dunes) — $7 per team of one to six people ($10 on the day of the festival); $12 for team of seven or more people ($15 on the day of the festival). And there are tips – check out the Friends of the Dunes' website for the best ways to wrangle that sand (compaction is key, and digging deep and wet). The festival opens at 8 a.m. with registration at the Manila Community Center, 1611 Peninsula Drive. You can save some bucks by registering before Saturday, online (www.friendsofthedunes.org/sand_sculpture_festival) or at the Humboldt Coastal Nature Center, 220 Stamp Lane in Manila. Sculpting goes until 2 p.m., when the final judging takes place. And the festival ends at 3 p.m.